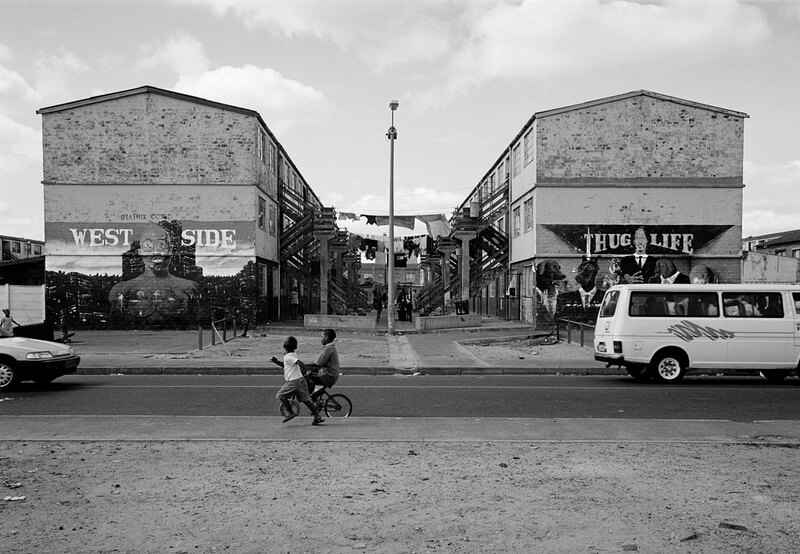 “Manenberg Avenue is where it’s at.” Setting out with these words from Abdullah Ibrahim’s great jazz composition “Manenberg”, the award-winning photographer David Lurie explores in this astonishing series of portraits a place and community that exist on the very fringes of Cape Town. Manenberg – built as a dormitory suburb for working people of the city – is the product and symbol of dispossession and extrusion from Cape Town’s heart. Here, in a mirror image of the beautiful and desirable city, life is lived at the very edge. And yet for all the distance that separates the township from the wealthy suburbs and central district, Manenberg is inextricably part of the protean city, exuding a vibrancy and energy that attracts, affronts, confounds. Of his time spent photographing the place, David Lurie says: “I was welcomed, entertained, amused; I was also frightened, bewildered, often disoriented, incredulous.” His portraits of a place and a people arrest us with their unsparing honesty and painstaking care.